New beginnings are difficult. It’s never easy walking in the opposite direction of the way you came. The same question runs over in my mind time and time again. How do I keep going? 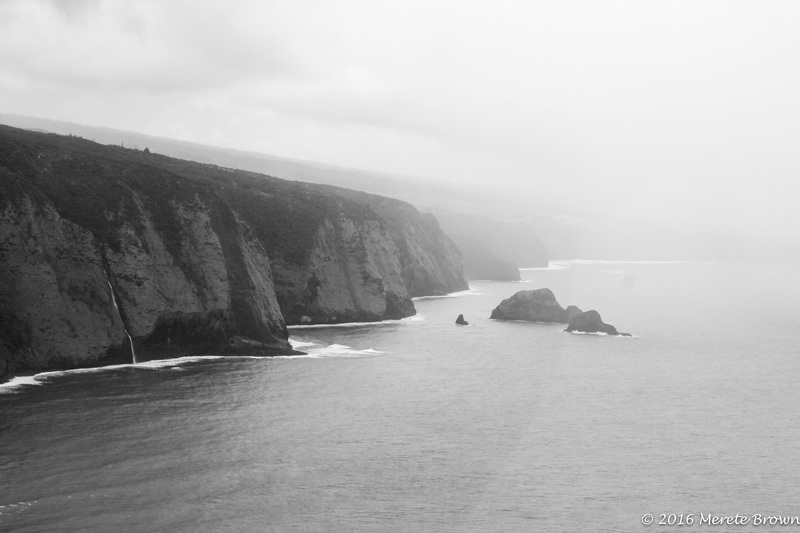 The Big Island of Hawaii was in essence the start of my journey in a new direction. 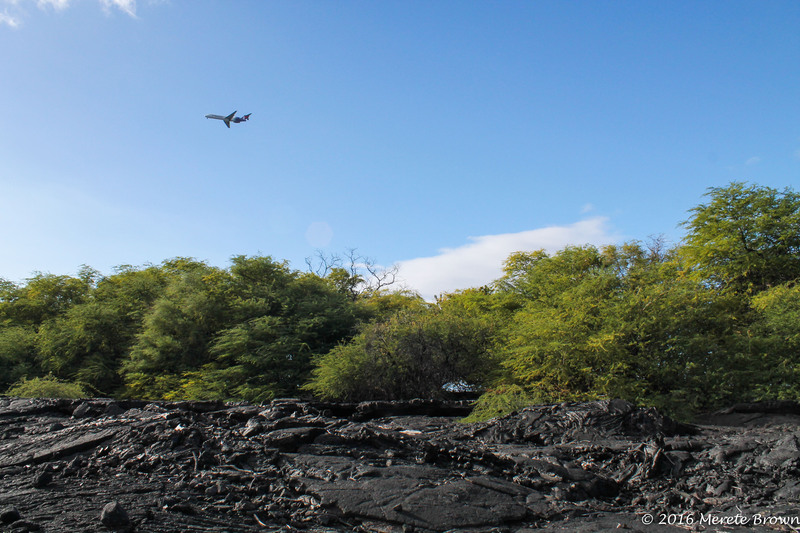 Even given my mixed feelings at the time of stumbling down a completely new path, it was impossible to ignore the surrounding beauty of another perfect Hawaiian island. What better way to keep moving than endless distractions. 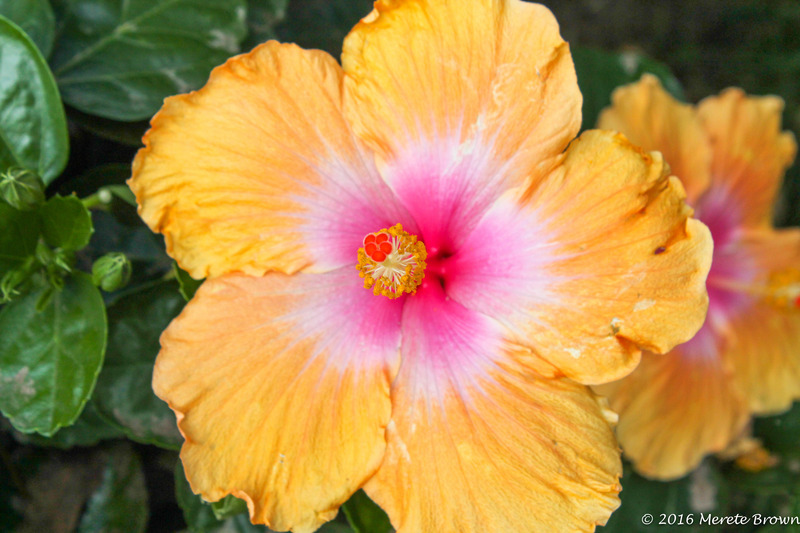 About this time of year, it begins – day dreaming of tropical destinations in the dead of winter, so in honor of the lush green landscapes and humid temps, here’s to another beautiful island of the Hawaiian chain, the island of Hawai’i. 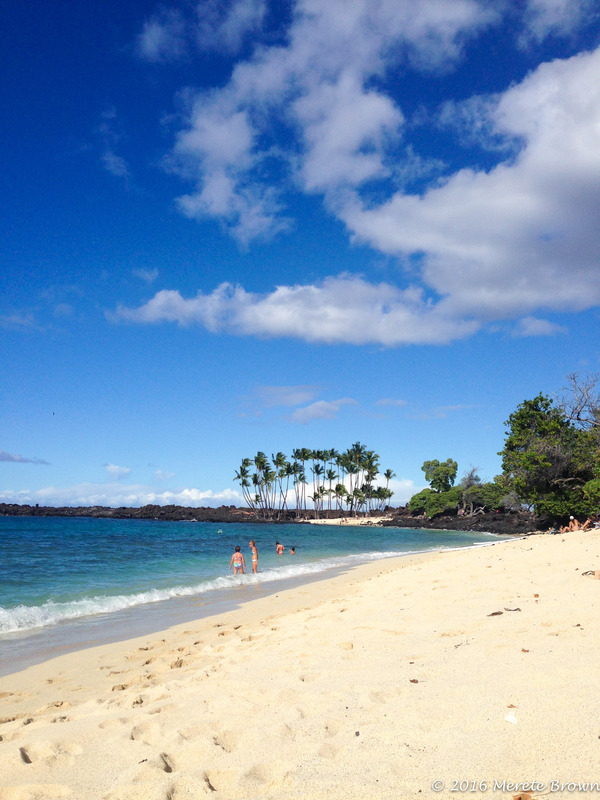 As the largest of the Hawaiian islands, there is no lack of things to do and adventures to have. 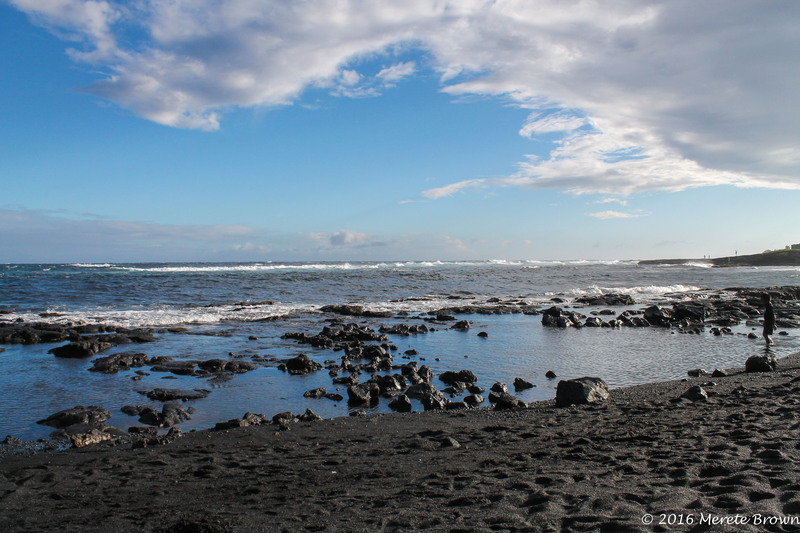 From hikes to waterfalls and volcanos to helicopter rides; from snorkeling with the dolphins to lounging on black sand beaches; Hawai’i or otherwise known as the Big Island, is a special place to escape to with little effort. 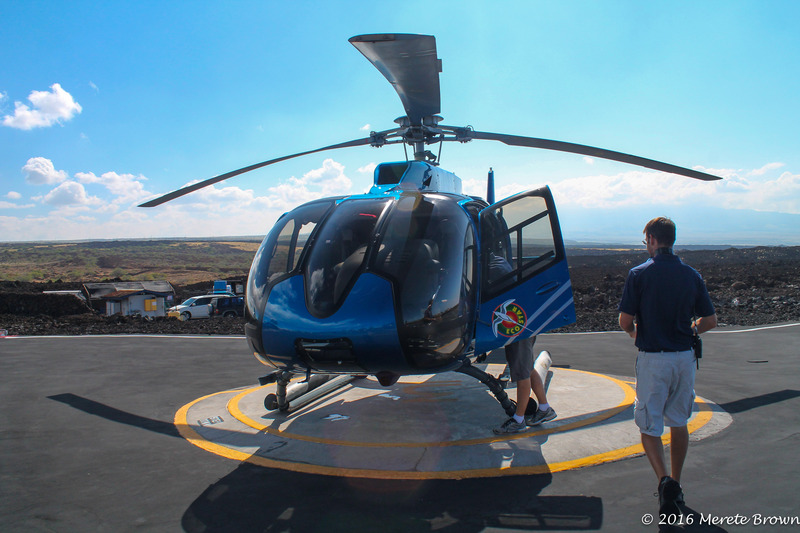 The Big Island rounds out trips to the big four islands of Hawaii – 2 trips to Maui, 1 to Oahu, 1 to Kauai & 1 to the Big Island. 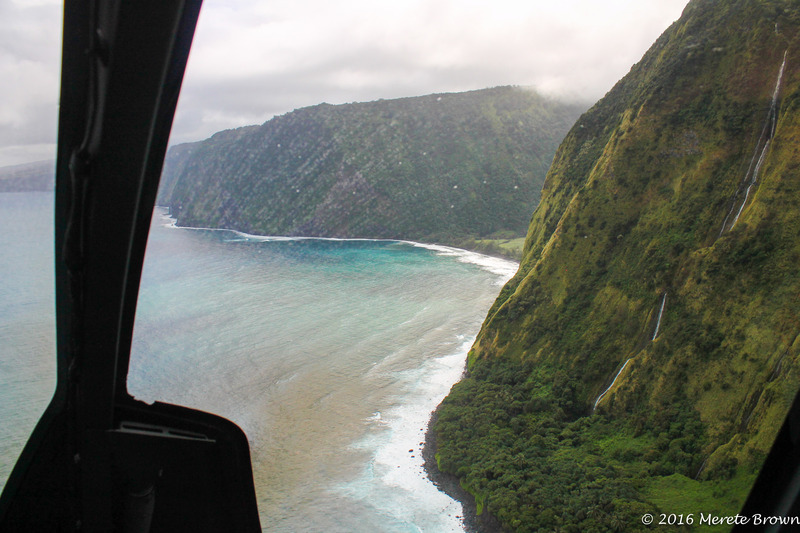 Now all that’s left to explore is Molokai and Lana’i! 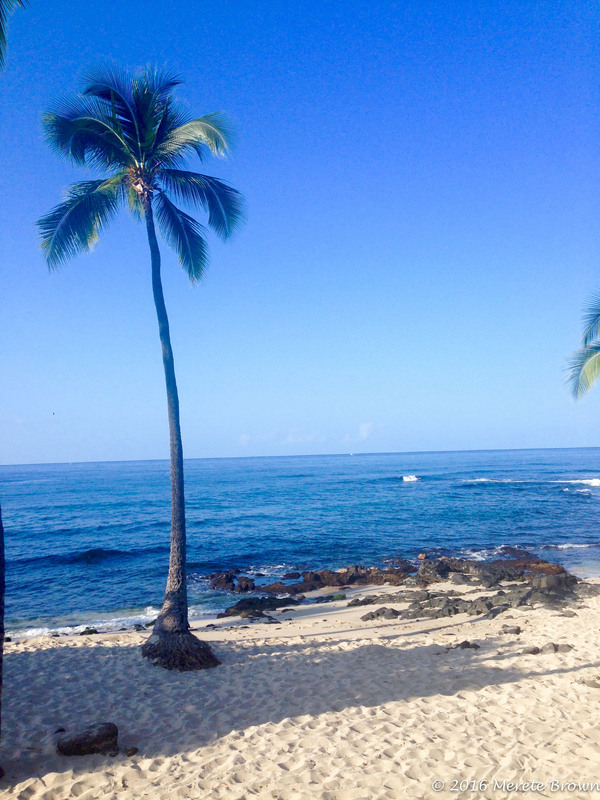 It’s always fun to visit the tropics around the holidays; to trade in the snow for sunshine and Mai tai’s on the beach. 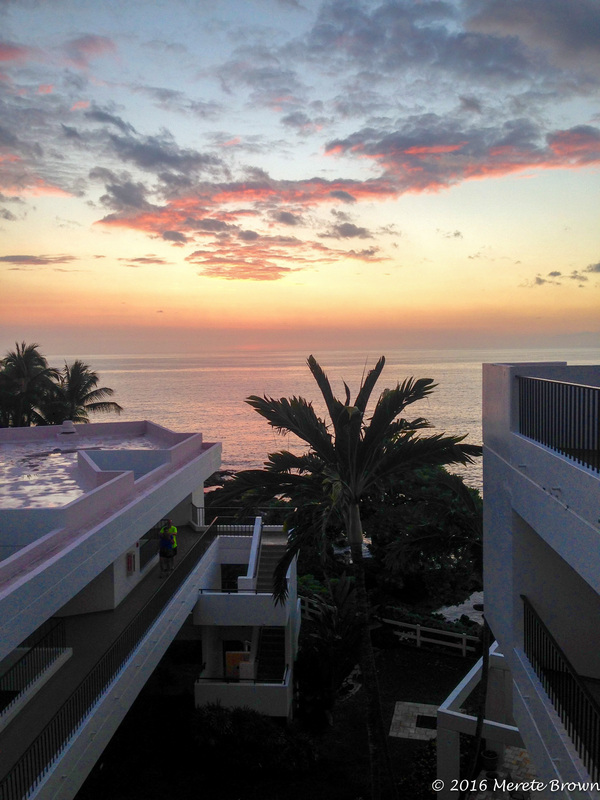 We stayed in Kailua-Kona, a great medium-sized town on the western side of the island over Christmas. 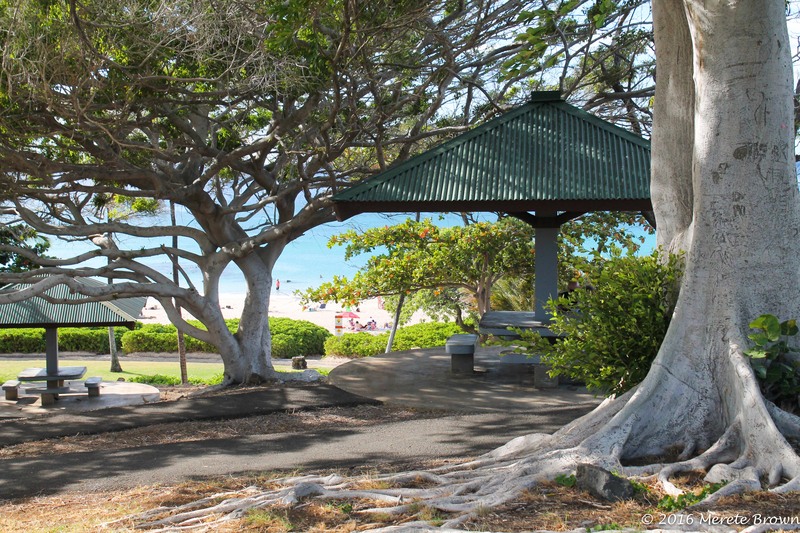 Filled with shops, eateries and a local Hawaiian outdoor marketplace, as with most Hawaiian towns, Kailua-Kona was laid back and carefree. 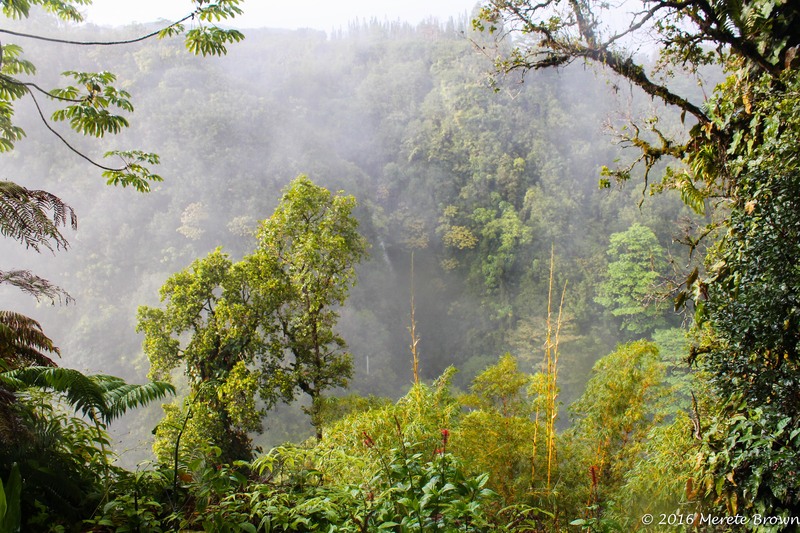 Top on the list of things to do on the Big Island? 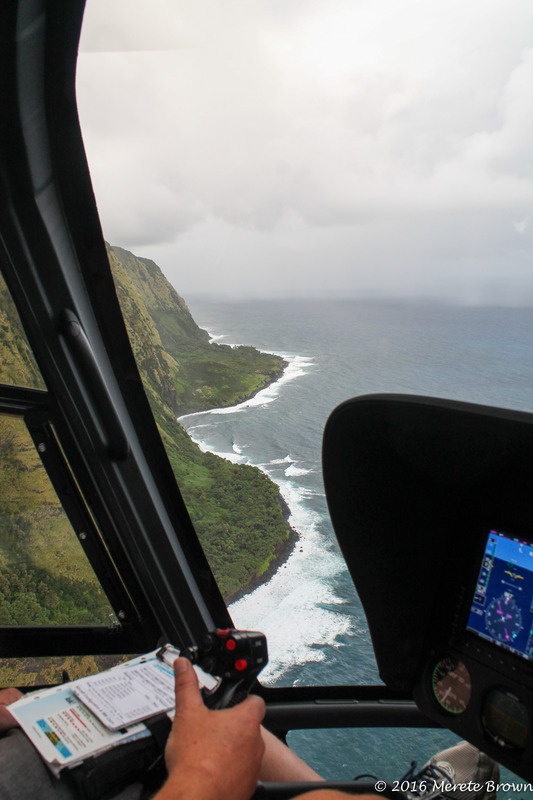 Explore, recharge, and take a helicopter tour. 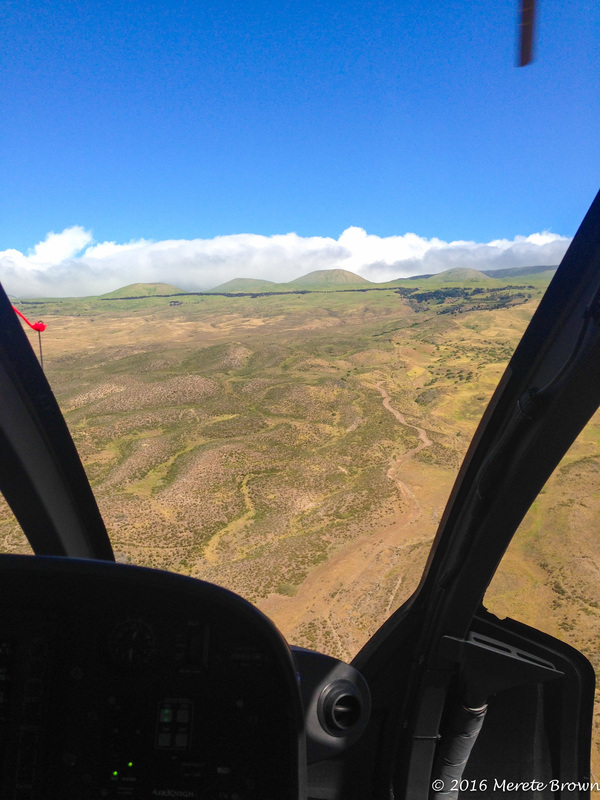 One of the first days out, we took to the sky, flying north up over and into the valleys in and around Kohala Forest Reserve in the northern part of the island. It was well worth the cost of the ride. 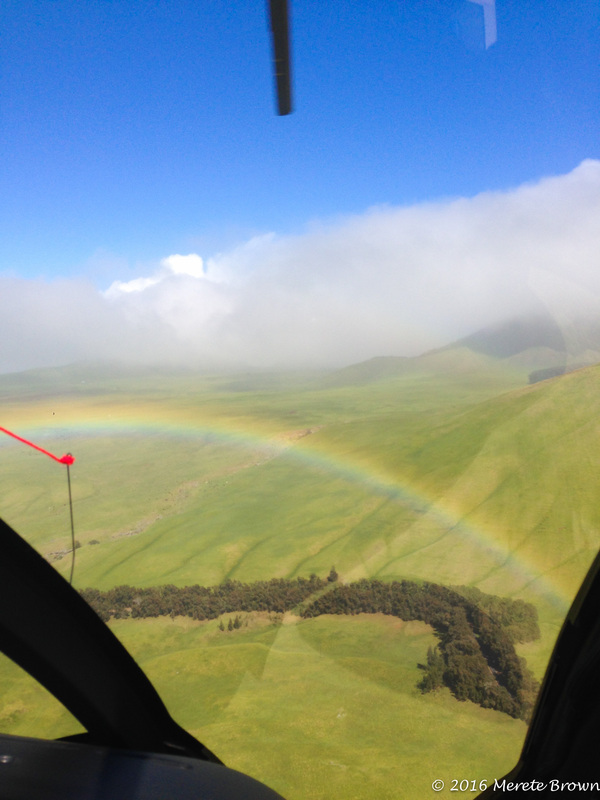 As the land transitioned from farm land to bright green hills and blue ocean as far as you could see, there was no better view right up front; a rainbow serving as a gateway to the north. 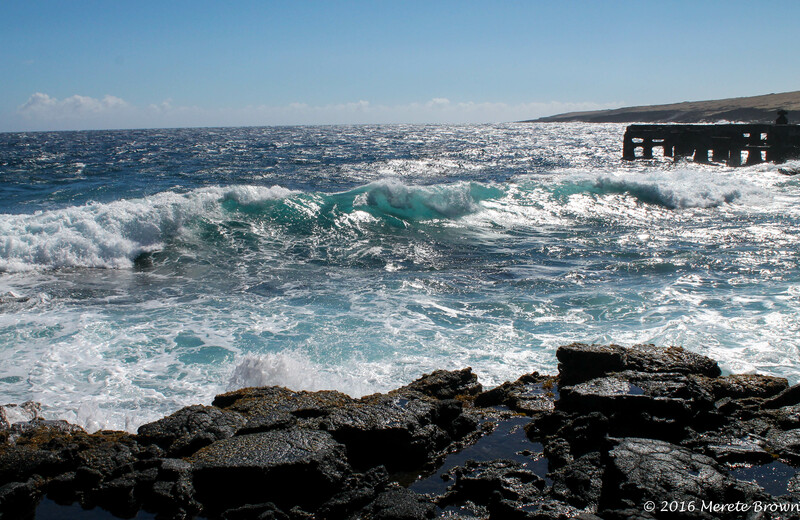 Road trips around the island are also a must. 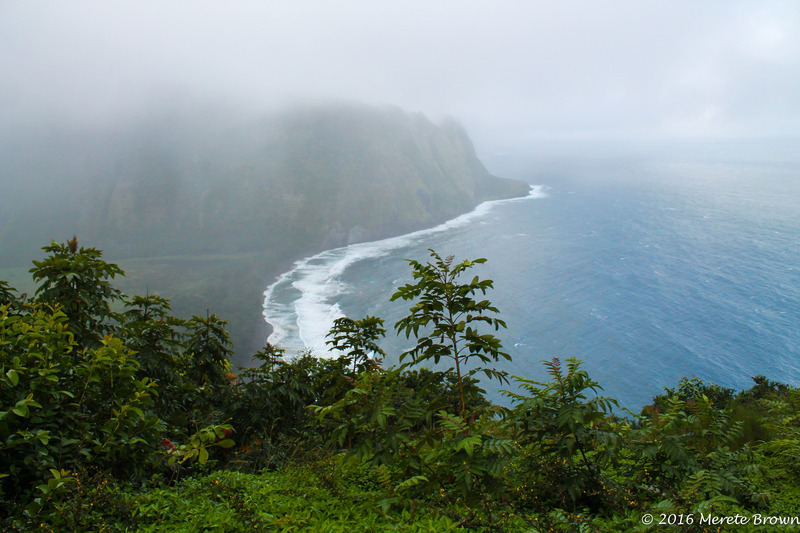 Another day we took to the road and traveled up to Waipi’o Valley Lookout. On a clear day, you can see miles out from this point. 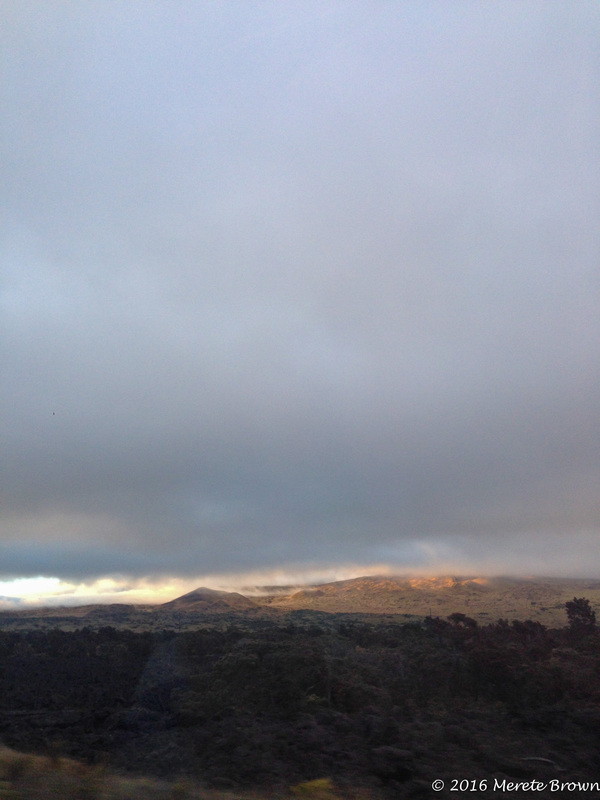 Although the rain and fog lingered, it was still a beautiful outlook. With a four-wheel drive vehicle, you can venture down into the valley, but given that we had a two-wheel drive rental car, we thought it best to observe from afar. 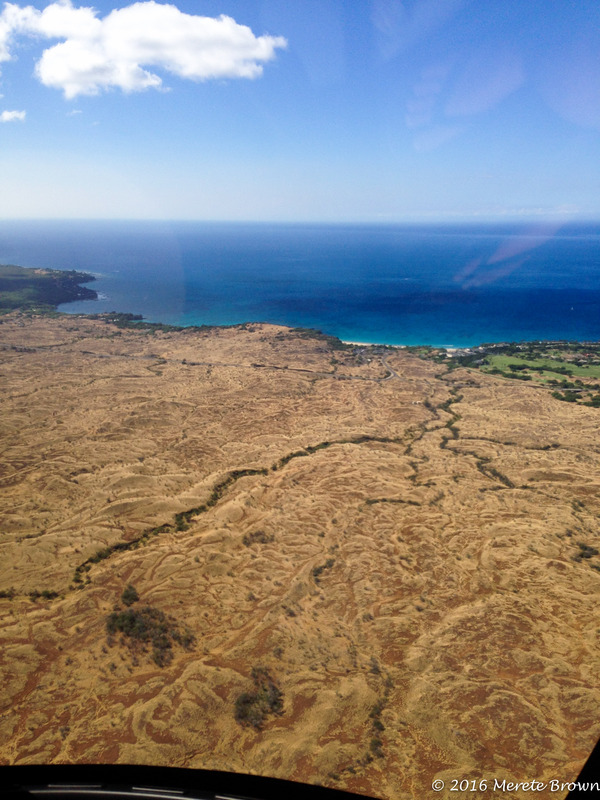 Referred to as the Valley of the Kings, it was once the home of many Hawaiian rulers and holds a special historical significance on the island. We then jetted over Tex Drive-In and stopped in for their famous Malasadas, basically a delicious giant donut. Filled with different flavors, your stomach will thank you. 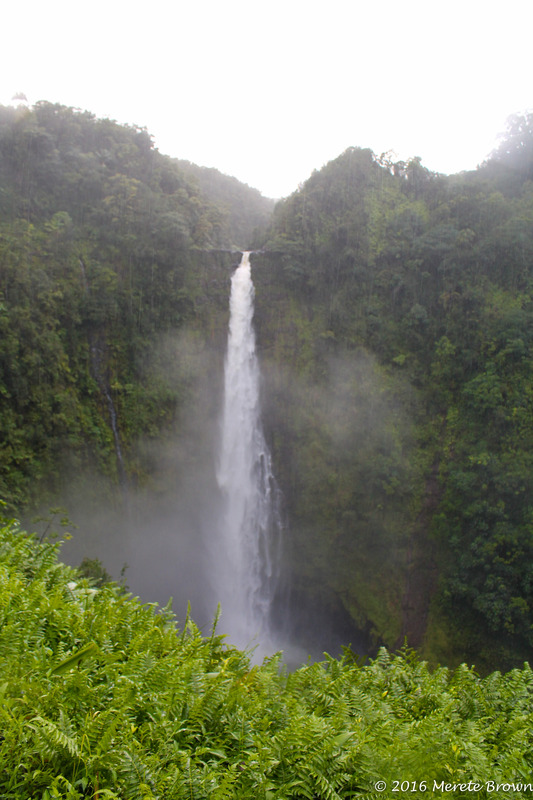 We then headed to Akaka Falls State Park for a short hike to a gorgeous waterfall. 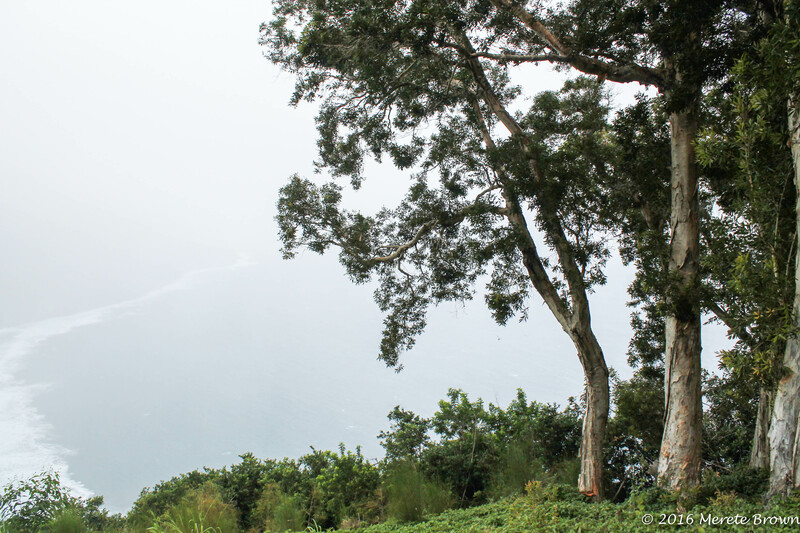 Although it was raining most of the day and does so often on the eastern side of the island during the wet season, tropical rain never truly holds anyone back from enjoying the view. At the state park, you can either pay a small fee to park inside the gates, or many people park along side the road right outside of the gate. 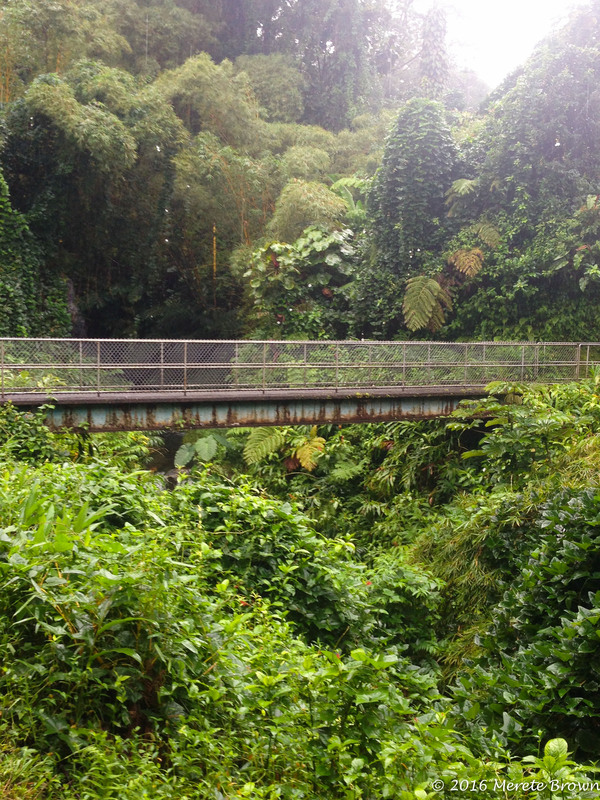 After enjoying the falls for a bit, we headed toward Hilo, and stopped at Rainbow falls right outside of town. 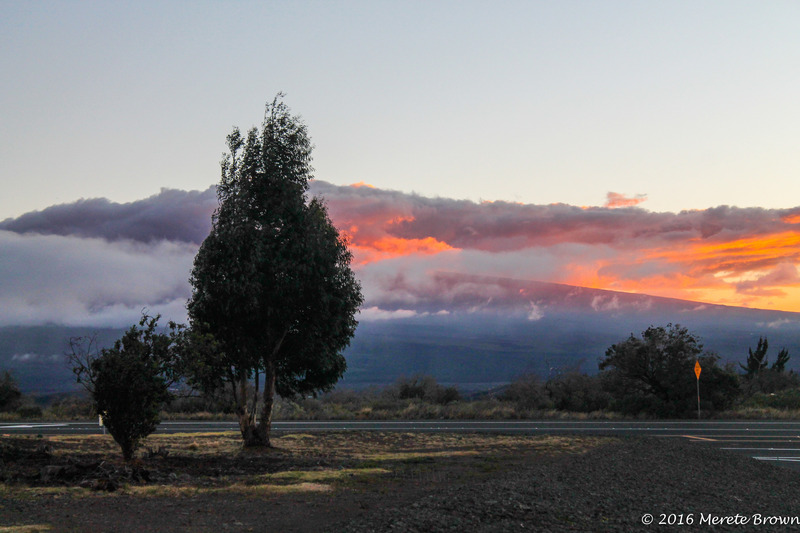 We then zipped back towards Kailua-Kona as the crimson light lit up the sky. 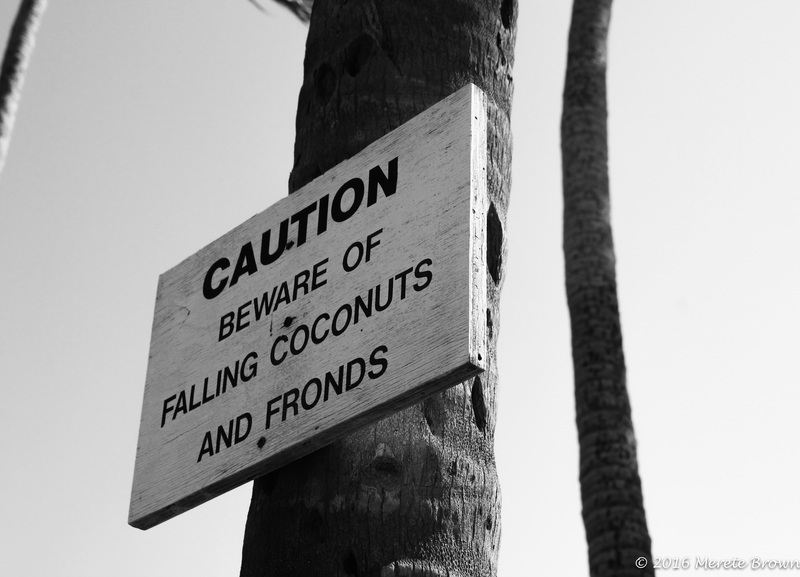 Yet another day we headed up the island north again to Hamakua Macadamia Nut Co. 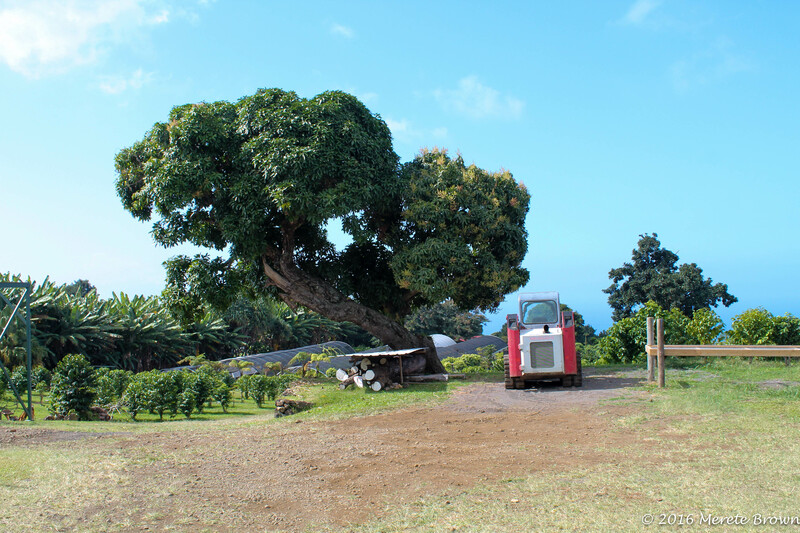 The Hamakua Macadamia Nut Co. gives a brief tutorial on the harvesting of macadamia nuts on the island and provides free samples. It’s also a great place to pick up a few treats to take home. We then grabbed burgers at Kohala Burger & Taco in Kawaihae. If burgers aren’t your thing, Kohala Burger & Taco is also right next door to an island favorite, a shaved ice place, Kawahae Ice House. 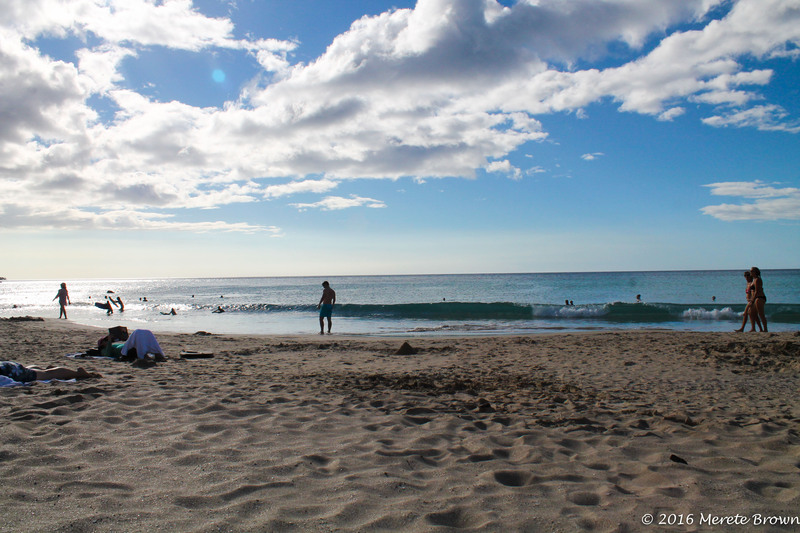 We then ended the day at the Mauna Kea Beach to catch some sun, a pristine white sand beach and arguably one of the best beaches on the island. 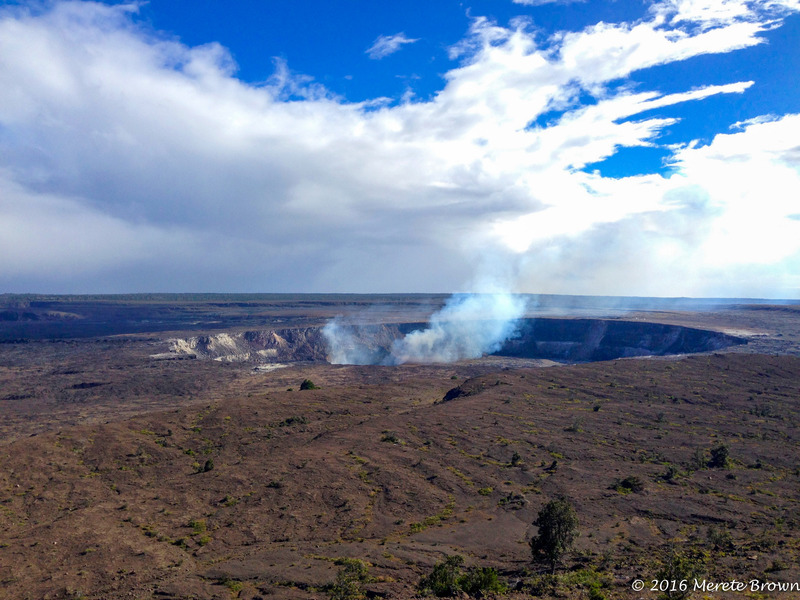 Towards the end of our trip, we drove south to Hawai’i Volcanos National Park. Steam rising from the craters, it was a unique national park and checked another one off the list. 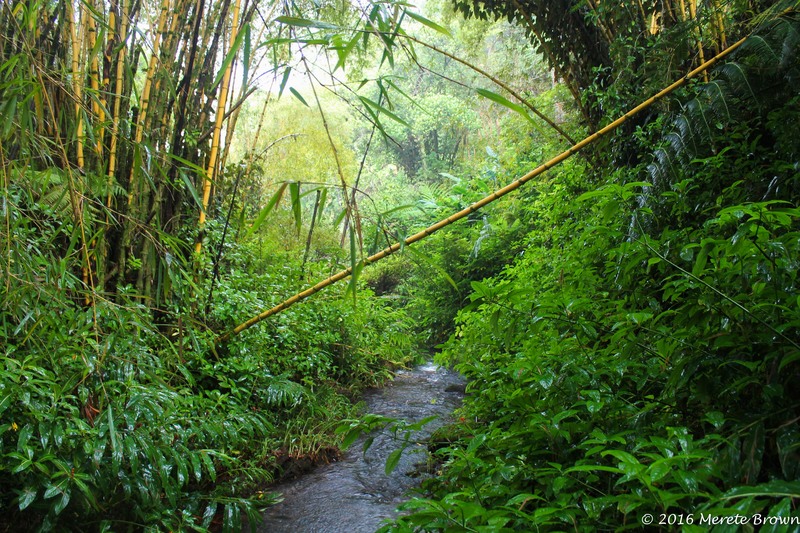 Although we didn’t have nearly as much time as I wish we had, it was still a worth the drive. 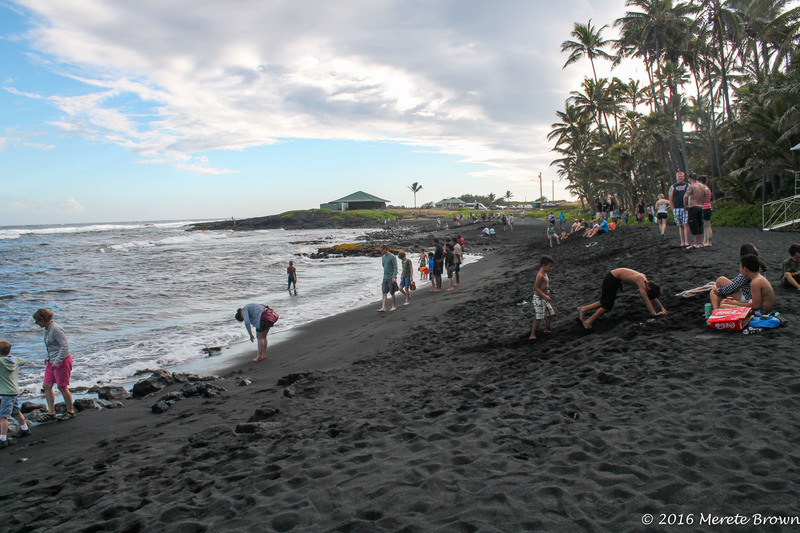 Along the way we also stopped at Whittington Beach Park and Panalu’U Black Sand Beach, because after all, visiting the Big Island would not be complete without a black sand beach. Other activities we enjoyed on the island were snorkeling in Captain Cook Bay and swimming with a wild pod of dolphins, courtesy of Sea Quest Snorkel tours; a tour of a coffee plantation at Mountain Thunder Coffee Plantation; a massage in Waikoloa village, and of course, attending a luau through Island Breeze Luau in Kailua-Kona, since it was Christmas time. 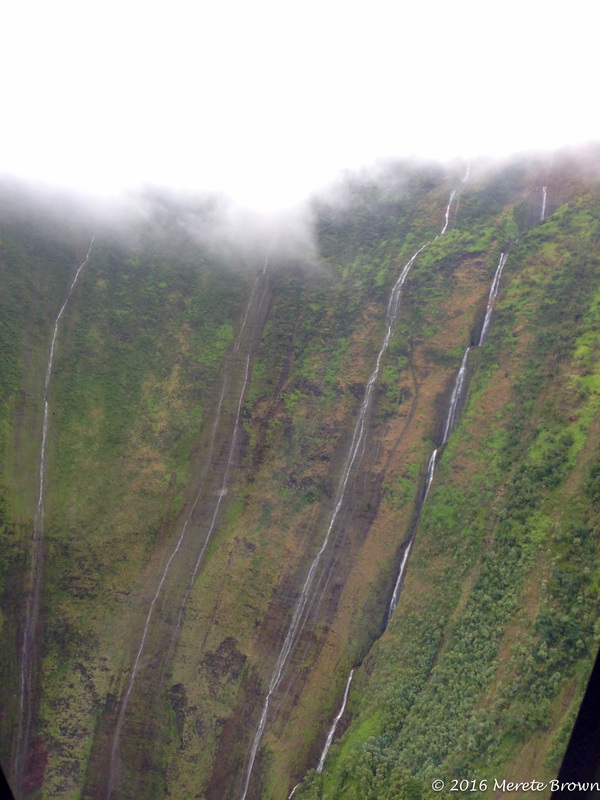 At the end of the day, you really can’t go wrong with visiting any of the Hawaiian islands; each has its hidden secrets to discover. 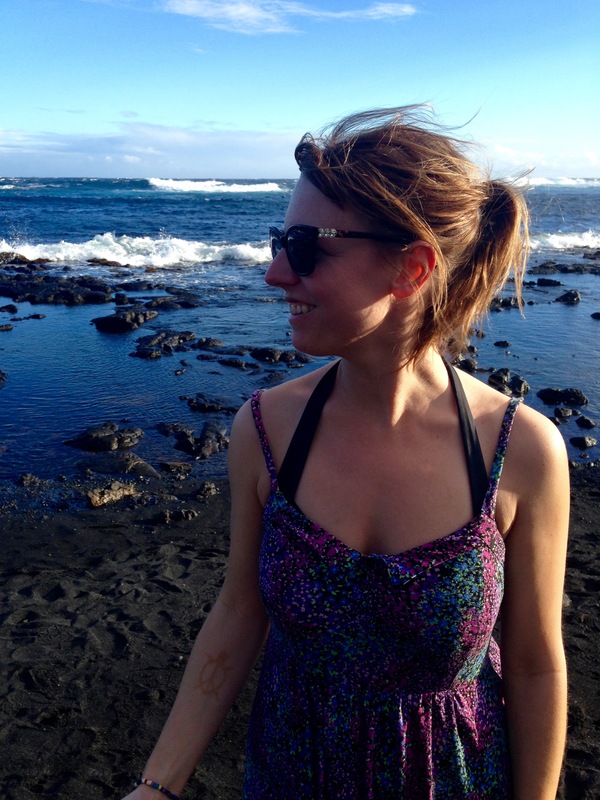 On the verge of embarking on another tropical adventure to Bali and snorkeling at the Great Barrier Reef, I’m truly grateful for each and every moment I get to pull my hair back and put my toes in the sand. 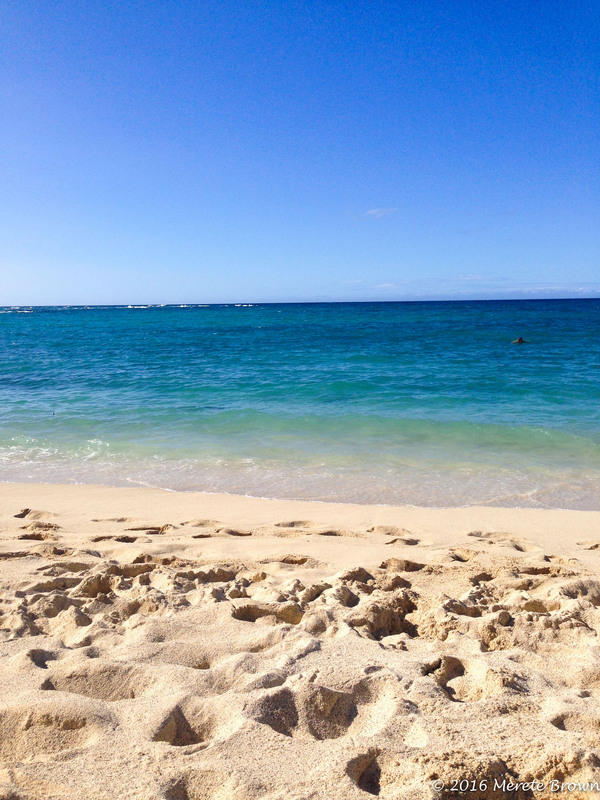 What’s your favorite Hawaiian island! ?